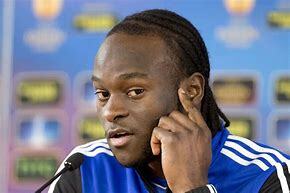 Chelsea and Super Eagles winger, Victor Moses has announced his retirement from international football with Nigeria. He made this decision to “focus fully”on his club career and spend more time with his family. Moses was born in Lagos, Nigeria. When he was 11, his parents were killed in religious riots in Kaduna when rioters invaded their home. Moses was playing football in the street at the time. A week later, after being hidden by friends, his relatives paid for him to travel to the UK to claim asylum. He was placed with a foster family in South London. Born in Nigeria, Moses represented England youth teams at under-16, under-17, under-19 and under-21 levels, but opted to play for Nigeria as opposed to being fully capped for England. He has gained over 20 caps for Nigeria since his debut in 2012 and has played in their winning campaign at the 2013 Africa Cup of Nations, as well as the campaign in the 2014 FIFA World Cup. Moses was selected to play for Nigeria against Guatemala in February 2011, but the friendly was cancelled. He then accepted a call-up in March 2011 for Nigeria’s games against Ethiopia and Kenya. However, he was ruled out of those games because his application to FIFA to switch nationalities was not received in time. It was announced on 1 November 2011 that FIFA had cleared both Moses and Shola Ameobi to play for Nigeria. Moses was called up to Nigeria’s 23-man squad for the 2013 Africa Cup of Nations, scoring two penalties in their final group stage game against Ethiopia, which Nigeria needed to win to go through. For the second, Ethiopian goalkeeper Sisay Bancha was given his second booking in the events leading to the penalty and was sent off. Ethiopia had already used all three substitutes so their holding midfielder went in goal, and missed Moses’ penalty. The game ended 2–0. Nigeria went on to win the tournament, their third such title. Moses started in the final and played the entire game. Moses was selected for Nigeria’s squad for the 2014 FIFA World Cup and started in their opening group match and the Round of 16 match against France as they lost 2–0. Upon Gernot Rohr’s assumption as Nigeria’s head coach in August 2016, Moses featured regularly in the FIFA 2018 qualifying matches. Moses scored a brace for Nigeria during a FIFA 2018 qualifying match against Algeria in November 2016, helping them secure a 3–1 victory. In May 2018 he was named in Nigeria’s preliminary 30 man squad for the 2018 World Cup in Russia, where he got a crucial equalizer against Argentina, though, his side lost the game in the dying minutes to see Argentina through while Nigeria got eliminated.